One of the most popular native plants in recent years has been this compact, free flowering perennial. 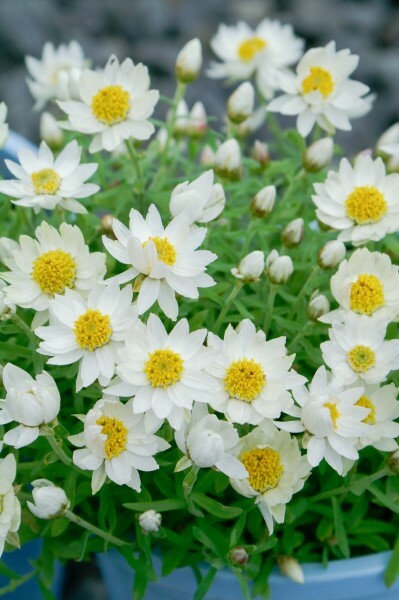 The small white daisy blooms commonly referred to as everlasting daisies as their papery petals (actually bracts) make them ideal for drying to be used in floral arrangements and other home crafts. If grown in a container 'Paper Star' can also be brought indoors for short spells as a lovely alternative to cut flower arrangements. To dry flowers, cut the stems just as the flower begins to open and hang in loose bunches, upside down, in a dry place out of direct sunlight. In 3-4 weeks the flower will be properly dried and will retain their shape and colour indefinitely. By the way - some of our readers may think they know this plant by the botanical name of Helipterum anthmoides. Well, you would be right! Taxonomists decided to split the rather large genus of Helipterum into several new groups and H. anthemoides, along with many others, have been re-named as Rhodanthe. Although confusing at times this revision will help to ensure that plants are more accurately named and described in the future. R. 'Paper Star' prefers morning sun with protection from strong afternoon heat. Soil should be moist but well drained for best results. The application of mulch around the plant is recommended not only to retain moisture but also to keep weeds at bay. An occasional deep watering during extended dry periods is recommended. A light dressing of a slow release fertiliser during spring and again in autumn will be beneficial to overall performance. 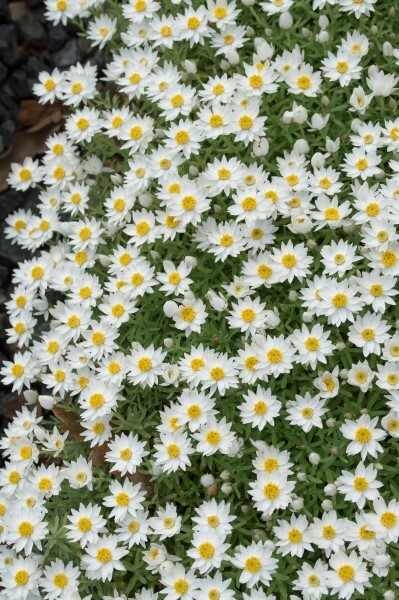 After main flowering flush (late spring) a light prune - up to one third of overall size - will help maintain a neat, compact habit as well as encouraging a second flush of flowers for late summer/autumn. A light trim should also be given after the second display. Obviously an ideal choice for native gardens and particularly useful for those native gardeners who still aspire to a 'cottage' feel. Likewise those with the more traditional cottage style gardens will also be able to utilise this dainty perennial towards the front of beds and borders or in a rockery.